Discussing subject-matter experts today – employees we’ll rely on to bring the knowledge to new business process design for a change project – and a familiar set of names pings around the office. This is a good thing because subject-matter experts, or SMEs, who are already actively involved can jump right in and share their wisdom. But, it can also be a not-so-great thing when we go with who we know and forget to consider a broader and more fully representative swath of experts. Why do we default to our familiars? We think it will take too much time to get newcomers up to speed. 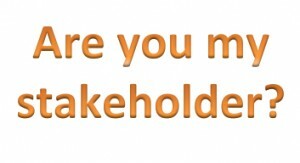 Harder to admit: We don’t know stakeholders well enough. It ensures we’re not missing key details. It provides greater credibility for the project when more areas of the business are represented. It saves us endless amounts of time in later stages, trying to create awareness and gain traction and support. It builds a sense of ownership, which breeds natural ambassadors for the project. 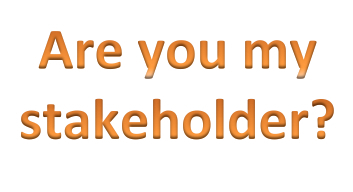 Bottom line: Get to know as wide a group of stakeholders as possible, and you’ll have a built-in group of supporters who’ll do more than cheerlead – they’ll make sure you succeed.